A CDC report earlier this year showed just how little produce Americans eat. Now the National Fruit & Vegetable Alliance (NFVA) has released a report which offers a perhaps even drearier view of American eating habits. The NFVA is an alliance led by the CDC and the Produce for Better Health Foundation that aims to improve public health through increased fruit and vegetable consumption. Its “Report Card” evaluates, among other things, progress made by schools, restaurants, supermarkets, and federal and state governments in its 2010 National Action Plan (NAP). They also found that while food eaten away from home makes up about a third of the average American’s daily intake (measured in calories), it accounts for just 11% of their produce consumption. In our post on the CDC survey, we offered a number of suggestions for getting more fresh produce into your diet, as good bodily health is crucial to good dental and oral health. And certainly, the type of food you eat has the biggest impact. A diet based on whole foods, including whole grains and plenty of produce, is healthier than one based on heavily, industrially processed foods – the kinds of foods you find in the center aisles of the grocery store or at fast food joints and other chain restaurants. The former contain more of the good stuff – vitamins, minerals, essential fatty acids, enzymes and important phytonutrients – and less of the bad stuff: artificial flavors and other additives, preservatives, excess sugar and salt, and unhealthy fats. But the quality of the food you eat matters, as well. In general, organic is better for you (not to mention tastier) than industrial – that is, food that comes from factory farms. This isn’t necessarily because organic food is more nutritious, as some have hypothesized – the science on this so far appears to be very mixed – but more because of what it lacks: pesticides, herbicides and other chemical additives that can damage or interfere with our health (not to mention that of the planet). Fred Kirschenmann, a North Dakota farmer and distinguished fellow at the Leopold Center for Sustainable Agriculture, served on the National Organic Standards Board when it was establishing the standards for the USDA organic seal. Early on, Kirschenmann argued that an organic farm shouldn’t be able to “degrade the health of the soil.” But when the board gave that to USDA lawyers, they told it to change the language. Any regulation, the lawyers said, needed to be able to be answered with a simple yes or no – something that can be difficult in the complex world of organic agriculture. The confusion extends to livestock as well. For instance, organic cows and chickens were required to have “access to pasture.” For some that meant having free-range animals that got the bulk of their food from the outdoors. For others, it meant having a tiny door at one end of a gigantic henhouse. What the organic laws boiled down to were a list of inputs that an organic farm could and could not use. That led to many farmers getting their certification by practicing what some call “substitution agriculture” – changing the kinds of chemicals they added to the soil without changing the way that they farmed. This, of course, is something that conscientious organic farmers don’t want, for such practices could easily taint the whole industry – and, according to Thier, they want tougher standards, which may in fact be forthcoming. Proponents of tighter organic standards, however, agree that President Barack Obama’s undersecretary of agriculture, Kathleen Merrigan, and the USDA have been working to clarify some of that flexible language. Last year, they changed the “access to pasture” phrase to say that cows must be allowed to graze 120 days a year. 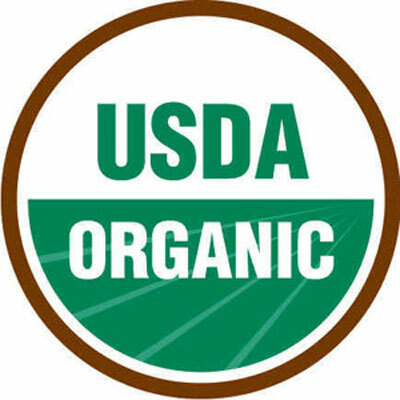 And at a series of hearings in Madison, Wis., recently, producers, distributors, processors and consumers told the National Organic Standards Board what they thought was missing from the current certification standards. For [Mark] Kastel [of the Cornucopia Institute] and others trying to establish a more exclusive organic seal, the hearings were a success: They declared that nanotechnology would not be allowed in organic products and that conventional hops would not be allowed in organic beer. In the contentious egg issue, he said that the board seemed receptive to farmers and consumers asking for stricter requirements for certified organic eggs. We certainly hope things will continue in this direction, so we can be more sure of the quality of the food we eat – that when we choose organic, we’re getting what we pay for: chemical-free food raised in ecologically sustainable ways.